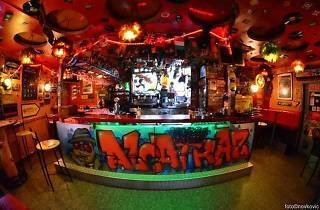 This place has been around for a few years and it's a real locals' hang-out. 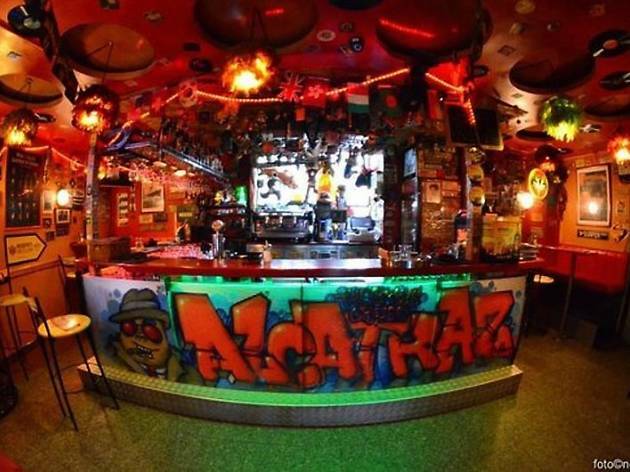 The interior of Alcatraz is crowded with American number plates, beer flags, and mannequins – one of which wears a Mick Jagger mask and seems to be a part of the party. The weekends see it packed with locals, who stop by for a myriad of bottled beers – loads of Belgian speciality brews alongside the excellent local Velebitsko – and the DJs jamming rock and dance tunes. There are also a slew of home-made rakijas (grappas) such as honey, cherry or blackcurrant.